Halong Bay: If you can’t beat the likelihood of food poisoning, then you should really just enjoy it while you can. 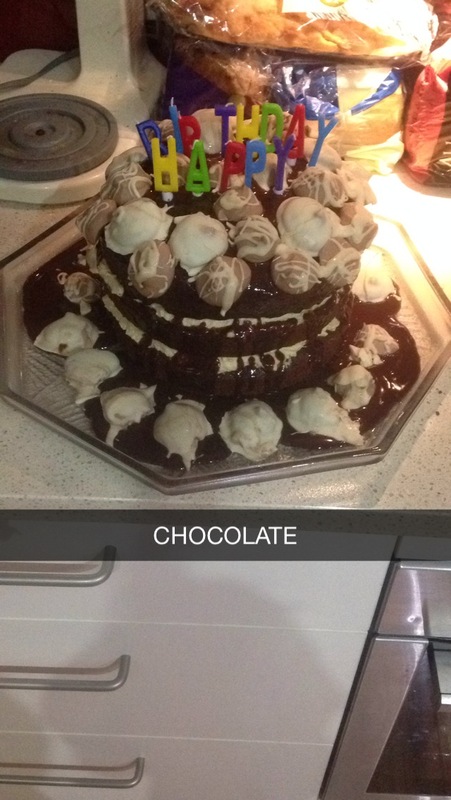 This was the Birthday cake I made for my uncle’s birthday yesterday. I can’t begin to describe to you how good this cake was. The sponge was almost like a brownie and the ganache melted in your mouth oh my lord. I was proud. Chocolate butterscotch layer cake from delicious’s ‘Simply the Best’ cookbook. Those funny little chocolate growths around the outside were my attempt at truffles. Not so pretty but so so yum.